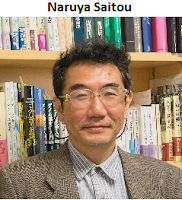 I highly recommend this brief editorial by Naruya Saitou: "Chance, Finiteness, and History" (Saitou, 2018). Saitou is a strong proponent of Neutral Theory and the importance of random genetic drift. Together these influences, along with the "random" nature of mutation, introduce a major element of chance and accident into evolution. 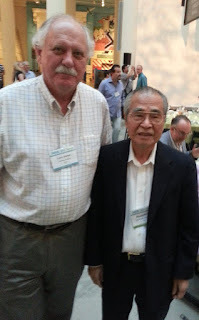 Saitou was a student of Masatochi Nei and he recounts how he was influenced by Nei's 1987 book "Molecular Evolutionary Genetics." I remember reading that book 30 years ago and being very impressed with Nei's case for mutationism. 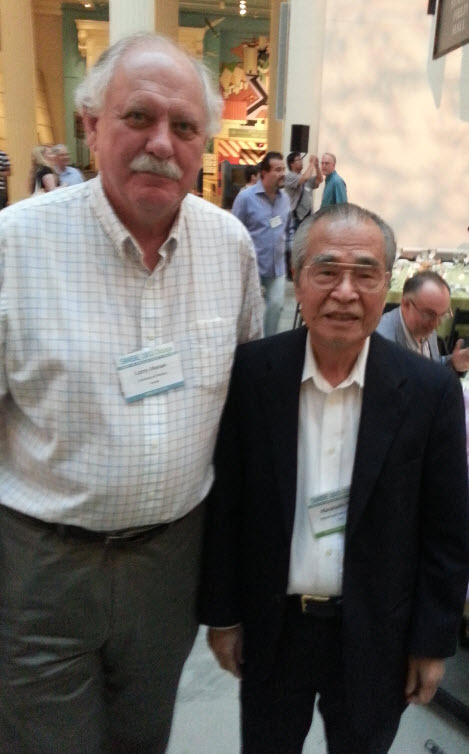 Dan Graur also studied with Nei and he was kind enough to introduce me to Nei a few years ago in Chicago. I think it's very clear that the role of chance in evolution, especially in molecular evolution, is very much underappreciated by the average scientist and by almost all non-scientists who are interested in the field. I doubt they will be convinced by a short essay but at least it will alert them to a different way of thinking. This world is finite. Our earth is just a 40,000-km circumference sphere. Life evolved on this tiny planet. We have to face the finiteness of the living world when we think about evolution. Random fluctuation of DNA copies (allele frequencies in classic sense) is a logical consequence of this finiteness. Because evolution follows time, evolution is historical. And chance played an important role in evolutionary history, as already noted by Darwin (1859). This is why I often mention three words—chance, finiteness, and history—in my talks and books as well as the title for this perspective. Saitou is using "evolution" in two different senses. First, there's the ongoing process involving changes in allele frequencies and then there's the history of life. I think it's best to avoid using the word "evolution" as a stand-in for the history of life but that's just a quibble. The idea behind the history of life is that the pathway that each extant lineage has followed over the past three billion years is very much due to chance and accident. It's like Gould's idea that the tape of life can't be replayed. From direct comparison of protein or RNA coding gene regions with noncoding regions of many genomes, it became clear that the majority of intergenic regions and introns are in fact “junk” DNA, as predicted by Ohno (1972). 1. Let me repeat what I've said many times before: you don't have to agree with the views of these experts but you do have to acknowledge what you are up against when you argue for function. Do not mislead your audience by ignoring the experts in order to make your own opinion seem more reasonable. A bit of a Freudian slap there Larry, "it's like Gould's idea that the tape of lie can't be replayed"
I have no idea what point you are trying to make. Gould wrote the "tape of life", not the "tape of lie" = typo in your text. Unless there's a book of his I haven't read called, "Wonderful Lie". Now I get it. Thanks for alerting me to the typo. Mutation and gene evolution can be quite chaotic, but this does not make evolution, at least with regard to energy- and material-demanding aspects of the phenotype, wholly or even largely a chance process. Insect mimicry provides numerous examples of pattern convergence, presumably under the control of natural selection, that seem practically deterministic. On the other hand, the underlying genetic and biochemical pathways giving the same pattern arrangement may depend upon which useful variations chance made available to selection as convergence proceeded. With regard to the tape of life, my view is that if the earth were to start all over again, something analogous to insects would come into being, some would evolve unpalatability and bright coloration to warn alter-birds to avoid them, and edible ones might converge deterministically under selection to become their Batesian mimics. This must remain a "philosophical" view, since I do not see any reasonable path to analyse or test this idea. Since we don't actually know what final (or intermediate) point deterministic evolution should bring the eukaryote phenotype living in the real world in any evolving lineage, speculation about the relative importance of randomness and determinism in trait states borders on the metaphysical. As for the randomness of mutations and the indeterminacy of neutral traits (where neutrality or near-neutrality is assumed or can be demonstrated), I fully agree with Sandwalk. A creationist, ID or YEC, would point that YES modern evolutionism has had to correct itself that chance/mutation means the trails/lineage is so wild in its direction it can't be replayed backward. Therefore watching this trail by fossils or DNA is impossible. Its too crazy winding(if it was true). Another point in how chance/mutation can have a wild lineage story is that in fact the results of biology are not that much in diversity. Everything did land pretty much looking like everything else. In fact common descent concepts are based on comparative studies and do need a comparative trail to get to the final results. Rewinding the tape shouldn't be a problem when one sees biology as a story of likeness. Darwin, Gould , etc can't insist on chance when biology lokks like designed on millions of segregated poulations of types of life. Something wrong here in the reasoning. Most lay people think history of life (multiplication of species) when they hear the world "evolution." Changes of alleles frequencies in populations is no more the popular meaning than, say, well-tested scientific explanation is for "theory." Although practically all popularizations of speciation mention genetic drift, they're usually done once there's a paragraph. Natural selection is what is discussed as molding the history of life. Not even mass extinction gets much treatment as a factor. There is also the issue that very, very many people do not believe history can be scientific, because real science requires experiments, with controls and reproducible results. The disinterest in the history of life appears to be the implicit acceptance of this view, that changing frequencies of alleles in a population is the proper object of scientific study. How do you determine if something is random? In addition, why would "Random fluctuation of DNA" be "a logical consequence of this [world's] finiteness"? Are you acquainted with the Hardy-Weinberg equilibrium? Are you acquainted with its assumptions, one of which is a population of infinite size? Now, why is that assumption necessary? Perhaps nonlin.org thinks that if you toss a fair coin 100 times you always get exactly 50 heads. Yeah but let's remember that Nonlin thinks that if a 6-sided die can't land on 7, 8, 9, or spontaneously turn into a nuclear submarine, or a unicorn, then it isn't "random". ... so a coin that comes up only Heads or Tails, and not "6" or "00" or "Lemon" is not random. OK, I see, that proves that random genetic drift isn't random as it comes out with a new gene frequency, but never "Lemon". nonlin.org has also been spamming Jeffrey Shallit's "Recursivity" blog with assertions about information that are as off-base and clueless as the comments he has above. (nonlin.org) has been on a roll. Instead of answers, I get other questions and spam? That doesn't make any sense. I agree that your posts don't make any sense. I want a coin that comes up "Lemon"